Photograph: Courtesy Santa Anita Park Easter Brunch at Santa Anita Park's Turf Terrace. Santa Anita Park's Turf Terrace is offering Easter Brunch diners an indulgent meal in an already extravagant setting. Catch horses race as you sit perched in their clubhouse, sipping on bottomless glasses of Veuve Clicquot that comes along with this Sunday's Easter Brunch special ($100). 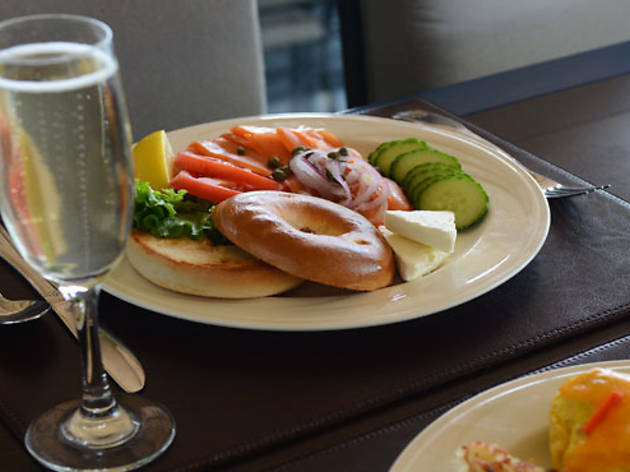 Entrée selections run the gamut from steak and eggs and smoked salmon platters (they come with bagels, of course!) to jumbo lump crab louis. 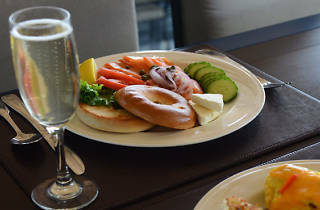 For those on a tighter budget, there's a less expensive brunch option ($60) that includes a glass of champagne with a selection of egg dishes, salads and dessert. Reservations are required, so purchase your ticket before they run out and remember to get there before the first race at 12:30pm.